Due to the brutal winter that just ended (kind of), I had to devote more time to my skincare regimen. From cleaning products that don’t dry my skin to deep moisturizers to give it an extra boost, much needed after the cold temperatures we had to deal with. I normally use facial soap, toner, and moisturizer as my daily skincare routine but it wasn’t enough. I was still experiencing facial dryness, but just on time when I needed, I was introduced to a Serum formulated to plump and to hydrate dry dull skin. The Hyaluronic Acid Serum by Oz Naturals Hyaluronic Acid Serum by Oz Naturals is proven to plump skin and to give you that dewy, moisture boost needed to achieve that youthful glow and it is proven to reduce skin’s fine lines and wrinkles. I have been using it for a few weeks and my skin looks more hydrated however I haven’t noticed any changes in my fine lines around the eyes but I may need more time using the product to be able to notice a difference. The serum comes in a glass container, a very convenient dropper to dispense the exact amount of product needed. The product absorbs very quickly, I used it under my makeup with no issues at all. It doesn’t have a strong scent which is a big plus, it will not irritate your skin and it will not exacerbate your allergies either. 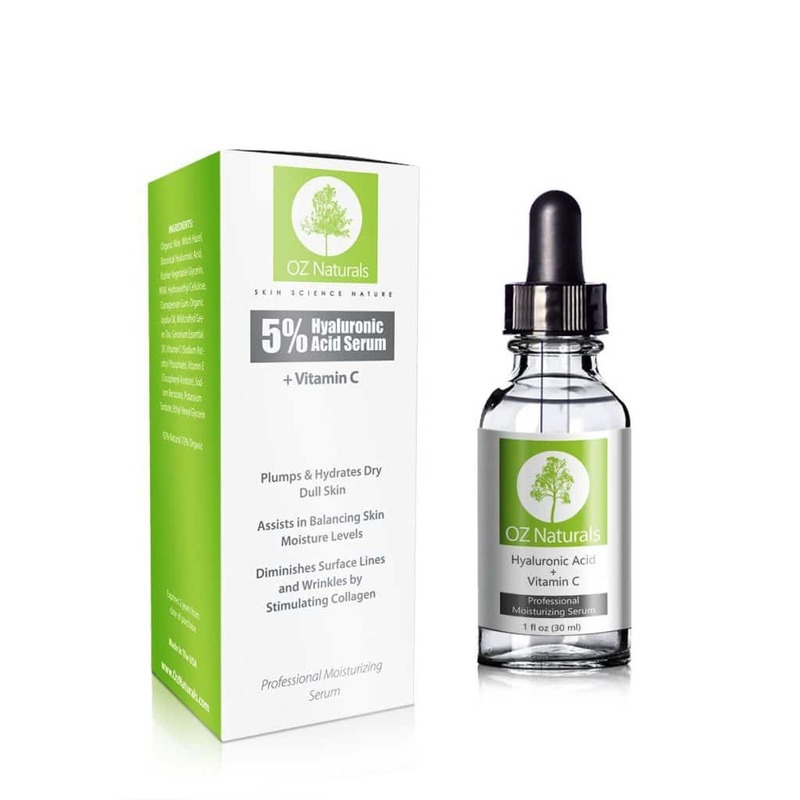 For a very affordable price and great results, feel free to discover the benefits of Hyaluronic Acid Serum by Oz Naturals, available in Amazon.